Travel by Novel Washington D.C.
Travel by Novel: Washington D.C. 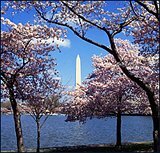 The city of Washington, D.C. (for "District of Columbia"), was founded for the purpose of becoming the capital and center of government of the United States of America. 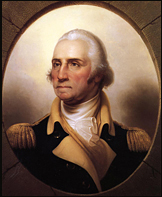 It was named for the country's first President, Revolutionary War hero George Washington. Two towns, Georgetown (in Maryland) and Alexandria (in Virginia), already existed in the area during Colonial times and were included in the land set aside for the District of Columbia when Congress approved its boundaries in 1791. A French-born American architect, Pierre L'Enfant, was hired to design the city's layout. His plan included wide "grand avenues" radiating outward from the Capitol building, and although it was not adopted as originally designed, these grand avenues are an important feature of Washington D.C. today. 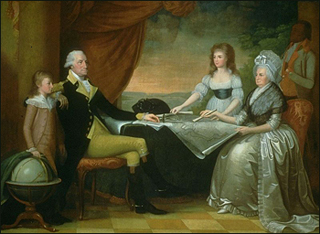 The nation's government moved to Washington from Philadelphia in 1800. 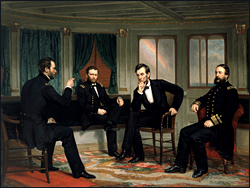 Since the President of the United States lives and works in the White House, many of the historical novels set in Washington D.C. revolve around the lives of past Presidents and their families. Christian Cameron, Washington and Caesar (2004), abut George Washington and the slave he named Julius Caesar, who fought on opposite sides in the American Revolution. Jerome Charyn, Johnny One-Eye (2008), a bawdy comic novel about a one-eyed rogue who joins Benedict Arnold as a spy for the British even though he suspects George Washington may be his father. Howard Fast, The Crossing (1971), about Washington's crossing of the Delaware on Christmas Day 1776 to make a surprise attack on Hessian mercenaries fighting for the British. Newt Gingrich and William R. Forstchen, To Try Men's Souls (2009), about George Washington's crossing of the Delaware River during the Revolutionary War. Newt Gingrich and William Fortschen, Valley Forge (2010), about General George Washington and his army at Valley Forge in the winter of 1777; sequel to To Try Men's Souls. William Martin, Citizen Washington (1999), a biographical novel about George Washington, narrated by a variety of the people who knew him, from his slaves to John and Abigail Adams. Gore Vidal, Burr (1973), a biographical novel about Aaron Burr. Anya Seton, My Theodosia (1941), about the daughter of Thomas Jefferson's Vice-President, Aaron Burr. Irving Stone, The President's Lady (1951), about Rachel, the wife of President Andrew Jackson. Irving Stone, Love is Eternal (1954), about the marriage of Mary Todd and Abraham Lincoln. 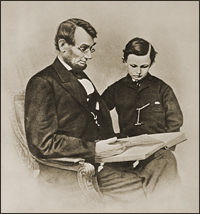 Seth Grahame-Smith, Abraham Lincoln: Vampire Hunter (2010), a spoof in which Abraham Lincoln learns that his mother's death was caused by a vampire, and therefore dedicates his life to fighting vampires and their allies, Southern slave-owners. Janis Cooke Newman, Mary (2006), a sympathetic portrayal of Mary Todd Lincoln, President Lincoln’s wife. Gore Vidal, Lincoln (1984), about the Presidency of Abraham Lincoln and the challenges he faced steering the United States through the Civil War. Robin Oliveira, My Name is Mary Sutter (2010), about a young midwife who sets out to become a surgeon in Washington D.C. during the Civil War. Thomas Mallon, Henry and Clara (1994), about the couple who shared the box at Ford's Theater with Abraham Lincoln and his wife the night he was assassinated. Thomas Mallon, Two Moons (2000), about a mathematically gifted widow and an astronomer at the U.S. Naval Observatory in Washington D.C. in 1877. Gore Vidal, 1876 (1976), about an unacknowledged son of Aaron Burr who returns to America in 1876 with the ambition of regaining his fortune. Gore Vidal, Empire (1987), about a woman who publishes a Washington D.C. newspaper during the Gilded Age at the end of the nineteenth and beginning of the twentieth centuries. Sarah R. Shaber, Louise’s War (2011), about a young widow who goes to work for the OSS in 1942 and thinks she may be able to help a Jewish friend escape from Vichy France, until her plans are threatened by the murder of a colleague. Gore Vidal, Hollywood (1990), about the years of the Wilson and Harding presidencies in Washington D.C. and Hollywood; #5 in the American Chronicles series. Gore Vidal, Washington D.C. (1967), about a conservative senator with presidential ambitions, a congressional aide, and a newspaper tycoon during the 1930s into the 1950s. Gore Vidal, The Golden Age (2000), about a Washington D.C. newpaper publisher and her nephew who publishes an intellectual journal from 1939-1954. Ann Rinaldi, Taking Liberty (2002), about a girl who is a house servant - a slave - for George and Martha Washington and begins to question her life.